New York is large and has a tremendous number of hotels that accommodate business travelers and tourists that come by the thousands every day. Maintaining a high level of hotel security shows your guests that you care about their safety and the safety of their belongings. Hotel safes are an essential part of good hotel security. Travelers often book their accommodations based on certain criteria and one of the main things an experienced traveler looks for in a hotel is a good safe. Hotel safes can be large or small or you can have a combination of the two depending on the type and number of guest that frequent your establishment. Usually they only need to store small items but there may be occasion to store expensive goods purchased in the city during their stay. Either way, they will appreciate the courtesy of good security. You will want to be sure that only trusted personnel will have access to the hotel safe. 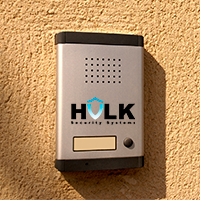 Hulk Security Systems, a trusted name in New York security, specializes in all areas of building security. We provide a wide selection of safes for you to choose from. We also can help you determine what type and size of safe you will need for your hotel if you are not sure. Getting a safe that is a little larger than necessary is better than having one with inadequate space for your guest's valuables. Hulk Security prides itself on selling the best safes with different options for locking mechanisms. You can choose keypad locks, biometric locks, dial combination locks, key locks and any combination of these and others.